The Central Bank of Nigeria, CBN and the Lagos State Government yesterday unveiled special funds to be disbursed as cheap loans to graduates. While the Lagos State Government unveiled a N25 billion Employment Trust Fund for on-lending to graduates at three percent interest rate, the CBN said it would soon release details of a special fund for on-lending to one million graduates at concessionary interest rate. The funds were announced at the opening ceremony of the 7th Annual Bankers Committee retreat held yesterday in Lagos, with the theme, Creating an Enabling Environment for SME Growth. 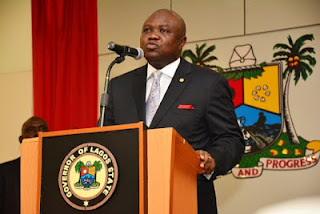 Governor of Lagos State, Mr. Akinwunmi Ambode, announced the N25 billion Employment Trust Fund, saying, “It would be difficult, if not impossible to achieve growth in our economy if we do not give proper attention to adequate financing of SMEs. “The Lagos State government is mindful of these challenges and we are taking steps to support young entrepreneurs to create wealth and generate employment. We would soon complete the legislative process of inaugurating our Employment Trust Fund, through which our youths and entrepreneurs, particularly in the social enterprise sector, would be supported with start-up funds.